Loving the brrr factor this morning and hope you are as well. With the first event of our new season kicking off this Saturday afternoon, followed by our AGM, BBQ and a new refined speed version of awards night, there are a few important details to outline in this edition. Please read the info and respond where required and that will assist all our hardworking volunteers who are giving up their time to organise the evening. 1. We have Come & Try spots available for non members at this event. So if you (or you know someone) want to have a crack to see how we do things prior to signing up for the season, this is a great opportunity. 2. Lots to organise so entry is closing at 8pm tomorrow Friday. 3. Parking is limited so you may need to park on Brandt Road. 4. Junior Dash is taking place, juniors will enter on the day. 1. Our BBQ, AGM and 2015 | 2016 award presentations will take place following the event. 2. It's a busy world so we know some of you will compete and leave & some won't compete but will be able to attend BBQ. 3. BBQ RSVP: We require numbers for catering so if you are staying for BBQ, please make sure you fill in your details here. 4. BBQ is a freebie. BYO drinks, BYO chair, BYO anything extra you may require. 5. We know some of you have yet to renew your memberships for 2016 | 2017. Please know that you will still be very, very welcome (and indeed we encourage your attendance) to come and join us in celebrating the achievements of members over the past year and to catch up with everyone. Just fill out the RSVP as we need to know names of those attending. 6. As well as our awards, we have a number of awesome lucky draw prizes so make sure you hang around for those. 7. 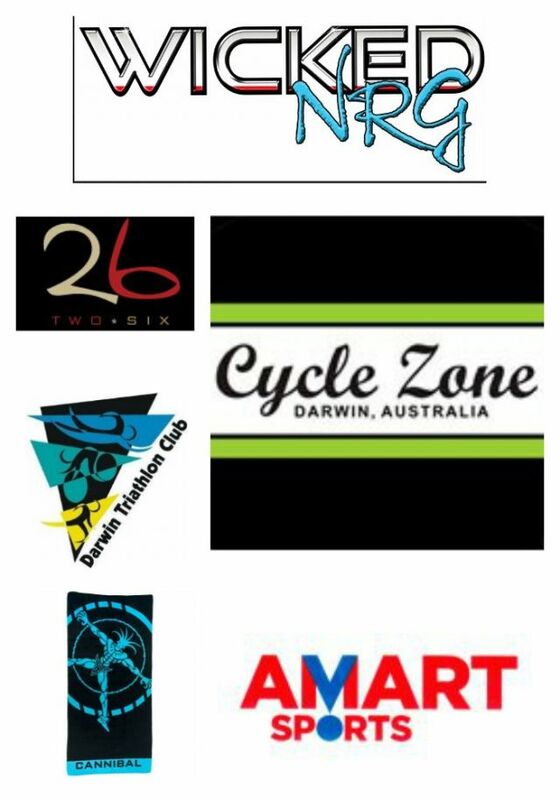 A big shout out to Cycle Zone Darwin, Gallery Two Six, Cannibal, Wicked NRG AMart Allsports Darwin for their contributions to our Awards and lucky draw prizes. 1. We need a couple of willing hands to fire up the barbie on Saturday and bring along some BBQ tools. 1. Our AGM agenda is up on website. 2. Audited accounts will be posted there shortly and will also be distributed to current members by email along with a Proxy form we ask be completed if you are unable to attend. 4. With Mel Lind's departure from Darwin fast approaching, we are keen to fill the role of Junior Co-ordinator. 5. We would also like to hear from anyone who can assist with equipment. This may well be a shared role. Keen to be the first to tow our new trailer to an event (now in build phase) or to help maintain equipment, mark new equipment etc let us know. 6. Fancy a stint organising some social functions for members, why not nominate for a general committee position? 2. 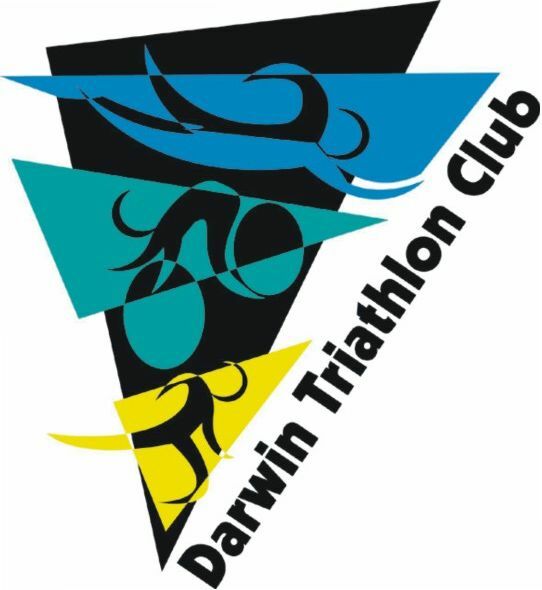 Hearing Megan Gallagher had the fastest swim at Katherine Ultra Challenge, Hannah Johnston fastest female road ride and road run and Luke Fronsko fastest male run. 3. Calling back into Darwin to say hello recently was Nikki Roddie and you may spot Renee de Jong around town thawing out. 4. It's official - congratulations to former member Katie Kelly, named yesterday in the Australian triathlon team for Rio 2016 Paralympics along with her guide Michellie Jones. 5. Noticed Jamie & Kimberlie Baldwin out training the house down ahead of ITU Age Group Sprint Distance World Triathlon Championships in Mexico next month. 6. Relay for Life takes place 16 September 16 for those interested in registering a team. 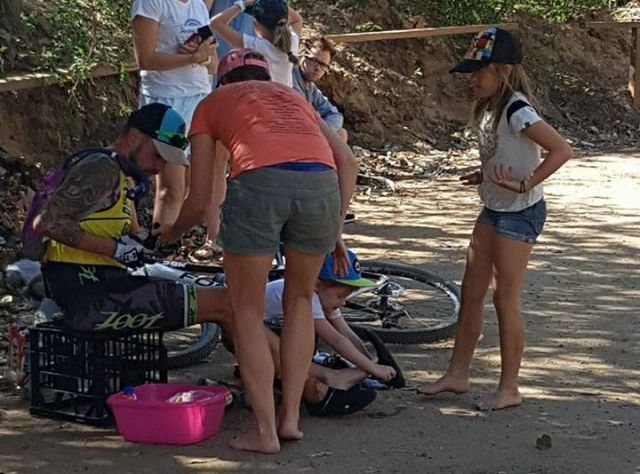 All hands on deck for Katherine Ultra Challenge winner Steve & his support crew.